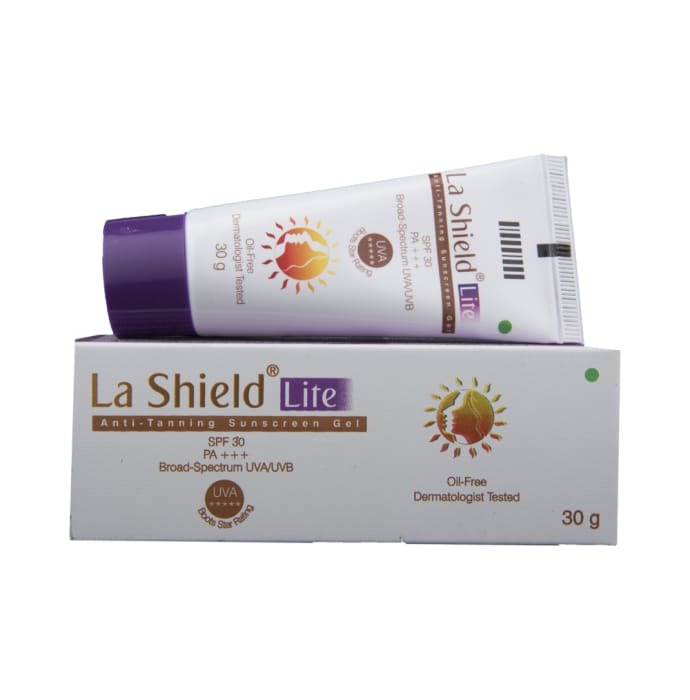 LA Shield Lite Anti-Tanning Sunscreen Gel SPF 30 provides protection from both UVA and UVB rays. It is specially formulated for people prone to tanning or pigmentation on exposure to UV radiations. It has Melanostatin which helps inhibits over production of melanin and promotes even skin tone. It also contains Tyrostat which reduces skin pigmentation and also helps in controlling inflammation. A licensed pharmacy from your nearest location will deliver LA Shield Lite Gel SPF 30. Once the pharmacy accepts your order, the details of the pharmacy will be shared with you. Acceptance of your order is based on the validity of your prescription and the availability of this medicine.